Microsoft has confirmed to TechRadar that Windows Phone 7 handsets could be arriving in the UK as early as October. 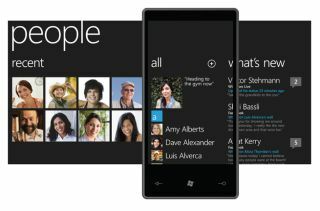 The launch of Windows Phone 7 is a major event on the mobile handset calendar, with the software giant's early preview of the OS winning rave reviews. Speaking to TechRadar, Brandon Watson, Microsoft's director of developer experience for Windows Phone, insisted that the given date of holiday season 2010 was still in place, with developers getting test phones as early as July. When asked when phones would be arriving, Watson confirmed that the Windows Phone 7 release date would be "between October and New Year" for countries outside of the US. The integration of Xbox gaming, social networking integration and a radical new user interface all signals Microsoft's intent to make Windows Phone 7 the beginning of a new assault on the consumer phone market. With rivals Apple and Google already major forces in mobile, Microsoft is keen to extend its current offering and offer the consumer something different.